This 303 British cartridge by Sellier & Bellot is capped with a 180 grain projectile, which is the second heaviest bullet you’re apt to find in a factory load for its caliber. 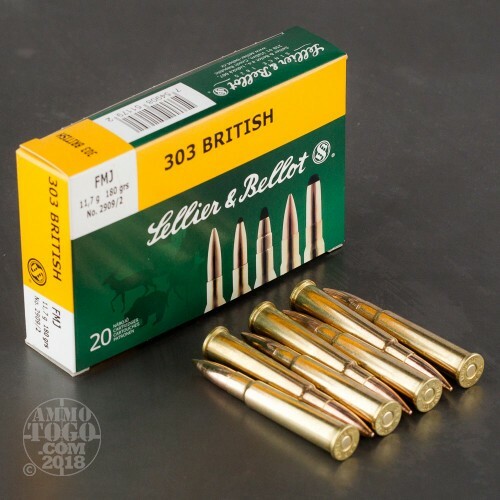 The bullet wears a jacket made of CuZn 10, a strong alloy that will keep your classic firearm’s riflings from dirtying up with lead residue and also promote painless feeding to boot. 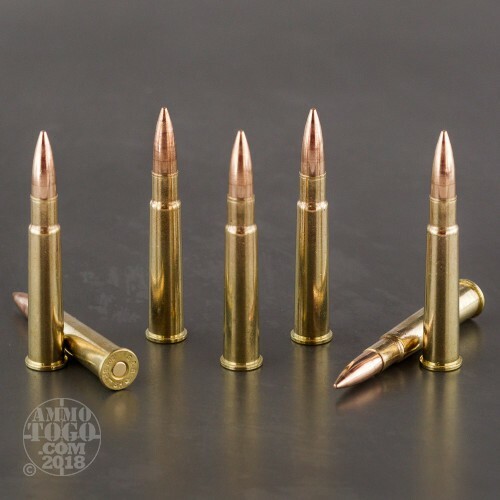 This round’s new production brass casing will keep you happy over the course of several trips to your reloading bench, and its non-corrosive primer and clean burning propellant will keep your weapon’s action and bore in better condition over the course of your target shooting session. 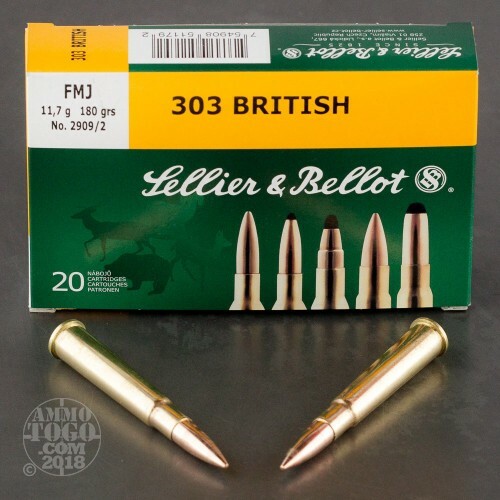 Sellier & Bellot was founded in 1825 by Louis Sellier after he fled the French Revolution. (The businessman thought his career would better served by manufacturing percussion caps abroad than by being beheaded for his royalist sympathies.) 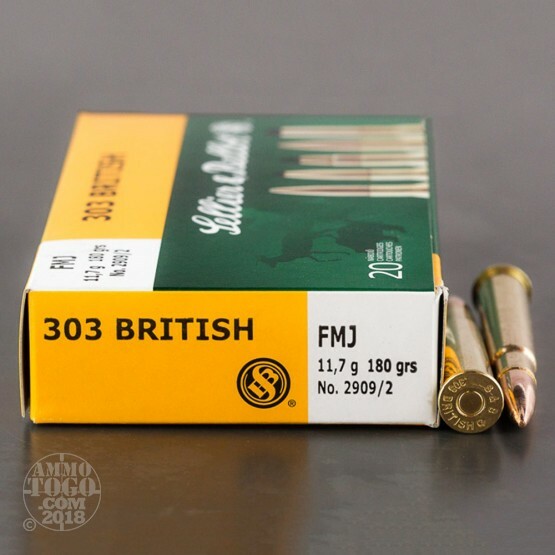 The Czech company is the world’s oldest ammunition manufacturer, and they serve a wide range of clients. You can take confidence that this round’s producer has got so much experience under their belt.